With the Hero and Monster Collection "Stewards of the Secret" for Descent: Journeys in the Dark Second Edition, your collection's getting a new addition. 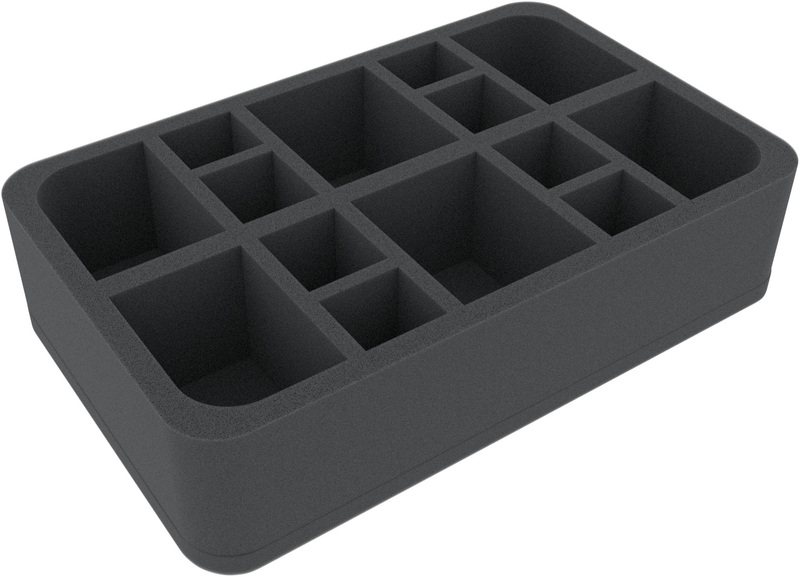 In order to protect this as well, we designed this foam tray for you. Here all 14 miniatures will find a safe place. 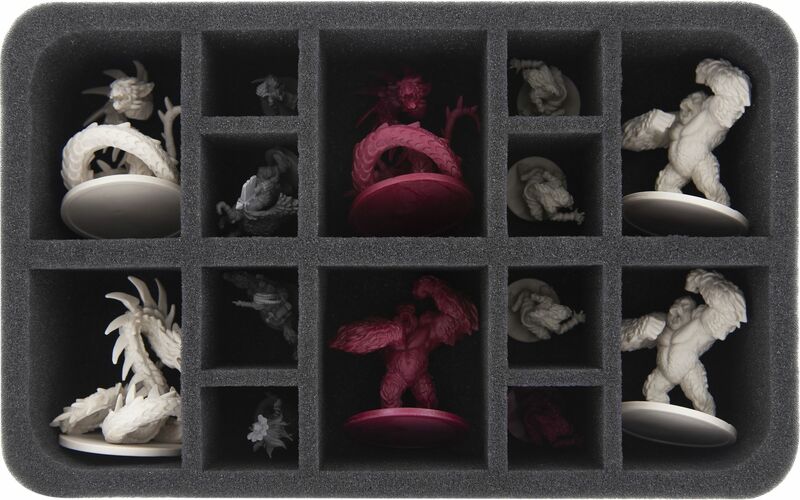 The big monster figures, three Blood Apes and three Nagas, get correspondingly large compartments. 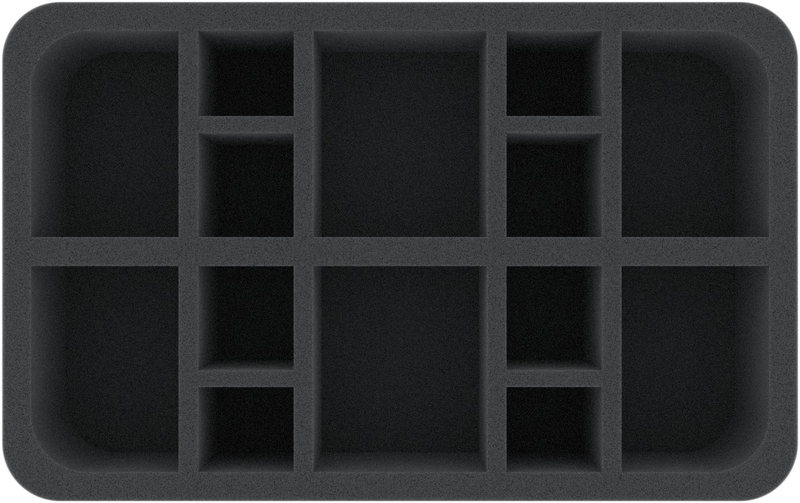 A row of small compartments is occupied with the Ferroxs. On the other side your heroes Okaluk and Rakash, Tatianna, Nanok of the Blade, and Seer Kel will find their padded shelter. The compartments are adapted to the size of the miniatures. Therefore they are optimally protected against collision and abrasion during transport. This does not only preserve the colors, sensitive details such as axes or claws remain intact as well.